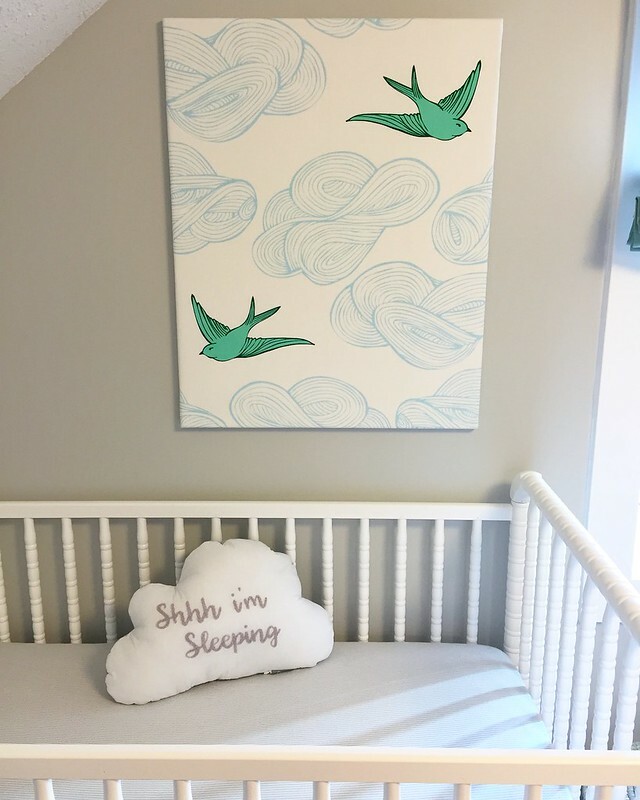 all kinds of lovely: nursery update: paint, cribs & art! 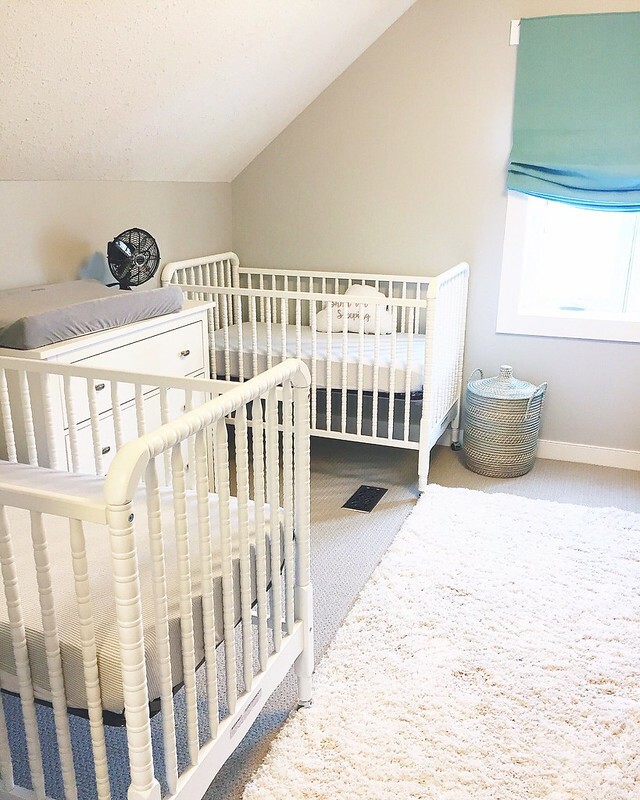 Seeing the nursery come along is very exciting. Your nursery is so calm and fresh. Love the colours for the boys. 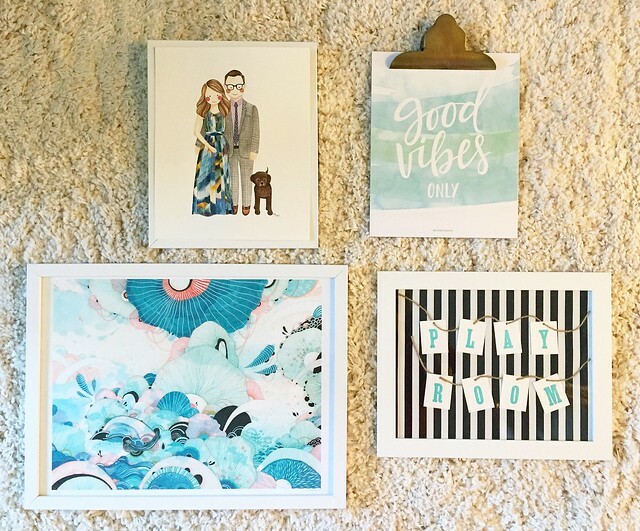 I am currently working on my sons big boy room and need to hang a print but not in a frame... How are you hanging the "good vibes only" print? Is it a clipboard? Thanks! Thank you Laura! 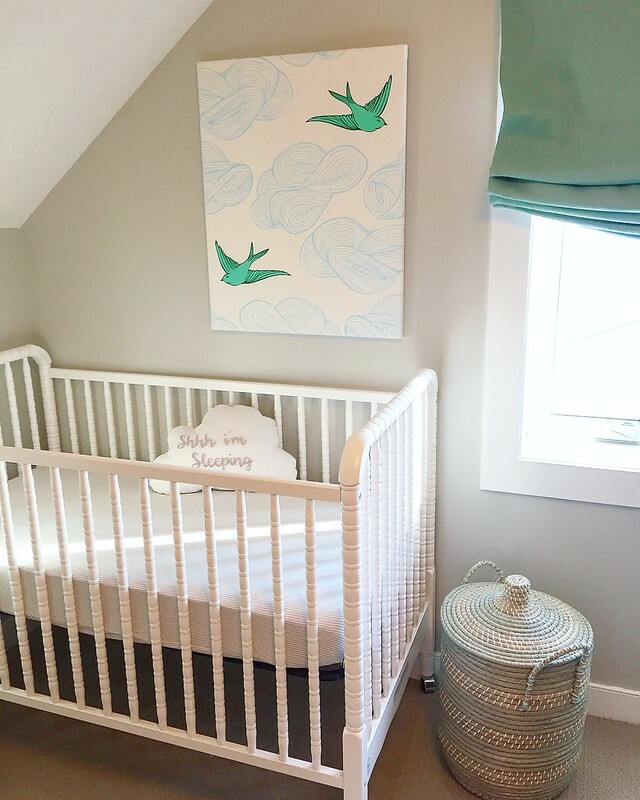 I wanted the nursery to feel calm and fresh, it makes me happy to know that others get the same vibe from it as well. Thanks Kristi! I'm so happy with our progress, just a few more finishing touches and it'll be ready for our little dudes. 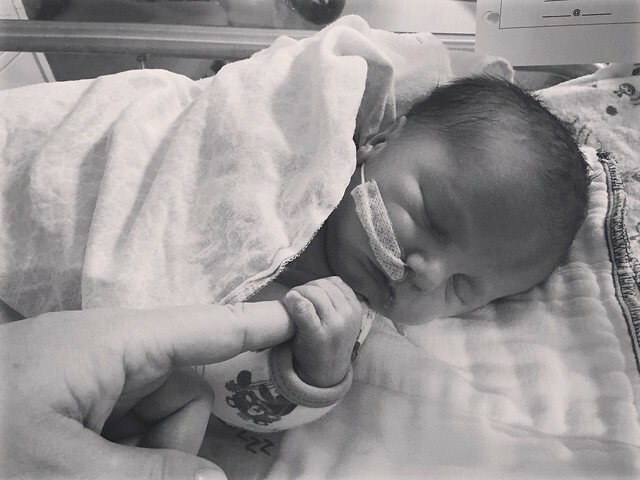 Can't wait to snuggle them in the glider! Thank you, H! I love the fabric art too! 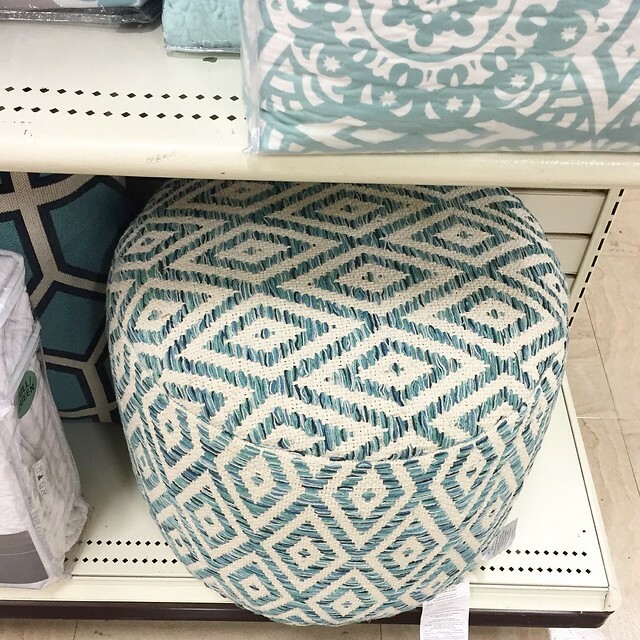 It was the one element I *had* to have in the room (and although the fabric was a bit pricey it was well worth the splurge). To answer your "where did everything go?" 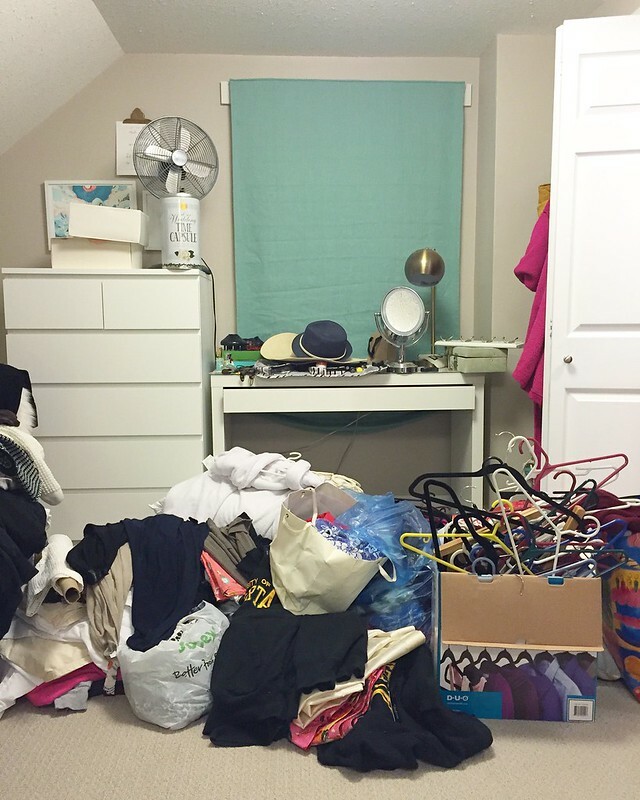 question: after doing a KonMari worthy purge of my clothes, we were able to get rid of the clothes racks (Scotty sold them on kijij). We also moved my makeup table into our bedroom, one of the dressers made its way to our guest room while the other is tucked away in the nursery closet. I moved my clothes into the nursery closet while Scott's using the guest room closet to store his wardrobe. Phew! There was so much to do (& move) but we made it work! What a sweet room! Love the colour palette, calm and cool. Hoping those babies (and their mama!) stay put for the next little while. Thanks Jen! The colour palette is calming -- which will be a necessary feature when the little dudes are both wailing at 3 a.m. HA! Just 3 more weeks to go now! As for where everything went: after doing a KonMari purge of my clothes, we were able to get rid of the clothes racks (Scotty sold them on kijij). We also moved my makeup table into our bedroom, one of the dressers made its way to our guest room while the other is tucked away in the nursery closet. I moved my clothes into the nursery closet while Scott's using the guest room closet to store his wardrobe. I had my doubts, but we made it work! Ahhhh Dajana I love this room! My fave colours, pale grey + aqua. Sigh, so dreamy! Those little dudes have one very stylish mama! Your 'so dreamy' comment made me smile, Lesley. Merci beaucoup mon amie! Only 3 more weeks to go and they'll finally be using this room. Yay! This room is so beautiful D! What a soothing, peaceful space - I love it!! I think the color combination, you used is really superb, that brings calmness and happiness. Great Work.